This chapter locates the memorialisation of some aspects of the liberation struggle in South Africa in the context of a complex political landscape. Through this chapter, we explore the vast body of heritage and memory culture in South Africa taking the view that South Africa has since 1994 experienced a memory boom. However, this memory boom is not completely disconnected to the pre-colonial past that had its ways of managing memories through ancestor worship, and other media such as architecture, medicine, sculpture, paintings hieroglyphics/alphabet, written text, religion, beliefs, music, myths, legends, fables, nursery rhymes, izibongo, izinganekwane, proverbs, drama, dance and above all language. 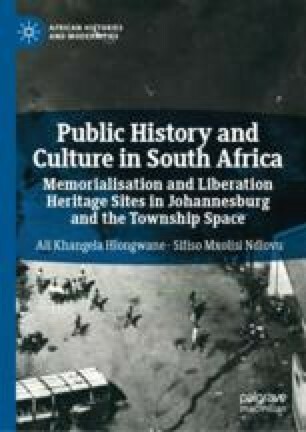 The chapter proceeds to look at the influence of memorialisation in other parts of Africa and the world recognising how tourism in particular shapes and influences the making of public histories in different parts of the world.